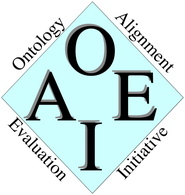 The Pistoia Alliance Ontologies Mapping project team organises this track based on a real use case where it is required to find alignments between disease and phenotype ontologies. Specifically, the selected ontologies are the Human Phenotype Ontology (HPO), the Mammalian Phenotype Ontology (MP), the Human Disease Ontology (DOID), and the Orphanet and Rare Diseases Ontology (ORDO). In the 2016 edition the Pistoia Alliance will sponsor a prize of $7,500 for the winner of this track as an incentive for participation. The track is currently supported by the Pistoia Alliance Ontologies Mapping project.